While some may protest that the United States is a more complex society with a higher rate of immigrants, Canada, which has a higher percent of foreign-born residents than the US, ranks higher in the recent UN report. So also do Britain and Germany with comparable percentages of foreign-born residents as the US. 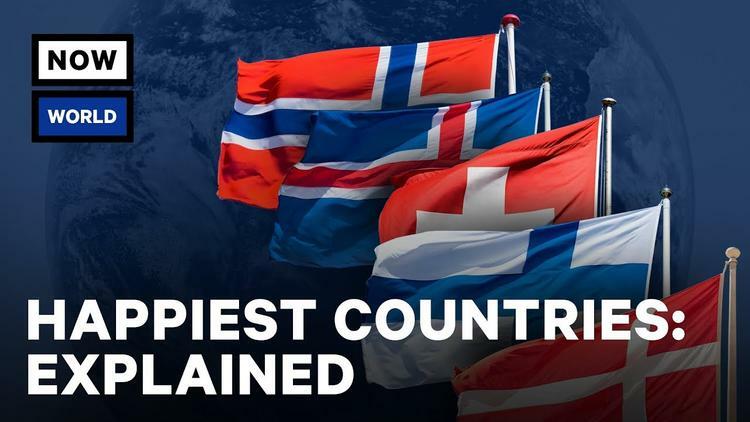 Let us consider some other factors that might cause us to fall lower on the World Happiness Index than other democratic countries, less wealthy than our own. A recent study of hundreds of federal government policies found that most policies adopted by our government are those that favor the economic elite and business interests. Only when the general public’s interests coincide with powerful business corporations do our interests get served. Consider also that our life expectancy has dropped over the past year due to drug overdoses and suicides among white men in the late 40s and 50s – a tragic sign of something, maybe hopelessness or a sense of no future that plagues some in our country. Countries can also be judged by the way they treat their children, so let’s consider our own. While the US is among the wealthiest nations in the world, it has a higher rate of child poverty than other wealthy countries. Why? Compared to other wealthy countries, our government underinvests in its poor children and their families and this leads to higher persistent child poverty and poor child health, poor educational outcomes, and no exit out of poverty. Budgets are moral documents and they mirror the values and priorities of a country. So let us look at US values and priorities through the lens of President Trump’s proposed discretionary budget for 2020. · 31% decrease for the Environmental Protection Agency: Think climate change, lead in drinking water, clean air, clean water and hazardous waste. · 22% decrease for Department of Transportation: According to the American Society of Civil Engineers, the US infrastructure, including roads, bridges, dams, and airports gets a D+ grade. · 16.4% decrease for Department of Housing and Urban Development, while ½ million Americans are homeless and Section 8 waiting lists for affordable housing range from 1 to 5 years. · 12% cut in Health and Human Services, despite the opioid addiction crisis. · 12% cut in Department of Education: US education quality is falling when compared to most developed and even lesser developed countries in annual international testing of high school students. · Department of Energy: 2/3rds cut in wind power research; 92% cut in research on energy efficiency in buildings. The military budget assures the economic health of defense contractors and pours our tax money into the Pentagon’s ongoing masculinist goal of maintaining military superpower status (championed by both Democrats and Republicans), even after two decades of failed wars. Yet it does not prioritize its soldiers and veterans. Veterans commit suicide at twice the rate of non-military citizens, and they have a higher rate of homelessness, particularly veterans of color and women vets. A recent survey of military families portrays slum-like conditions with mold, lead and rodents in military housing. Concurrently, environmental studies expose extensive groundwater and drinking water contamination at US bases, most notably from fire-fighting chemicals, which the Pentagon considers too expensive to remedy. All I can recommend for lifting the well-being of those harmed by the budget priorities of this administration is this: Vote an alternative in 2020. Scrutinize candidates for their position on reducing the defense budget; raising the minimum wage to a living wage; eliminating violence against women, people of color and immigrants; providing universal health care; and putting more of our tax money into affordable housing, quality education, repair of roads and bridges, safe drinking water, clean up of hazardous wastes and the climate crisis. Otherwise, states turn to casinos and sports betting (which can give temporary highs but not lasting well-being) to fill the holes in our social safety net. H. Patricia Hynes is a retired professor of environmental health, directs the Traprock Center for Peace and Justice in western Massachusetts. She has written and edited 7 books, among them The Recurring Silent Spring. She writes and speaks on issues of war and militarism with an emphasis on women, environment, and public health.